BANG! 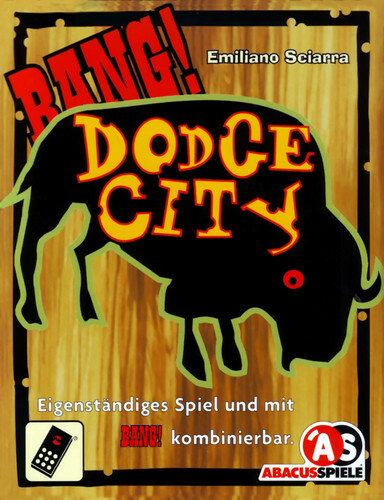 Dodge City is a double expansion that will make your BANG! games even more fun and challenging! • Dodge City: new characters, new cards, and roles to accommodate up to 8 players! • High Noon: a deck of special cards which change the rules of the game each turn! 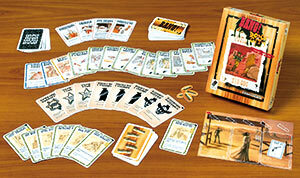 You can play with either expansion separately, or you can combine them for even more “wild west” action! Bite the bullet and get this all time party great western shoot out. The original game and all the expansions in one big errrrr.... bullet!